Charter fishing in Ft. Myers with Justy Joe was just as amazing as his Lake George charters. Joe's sincere heart and fishing knowledge satisfied everyone in his boat. 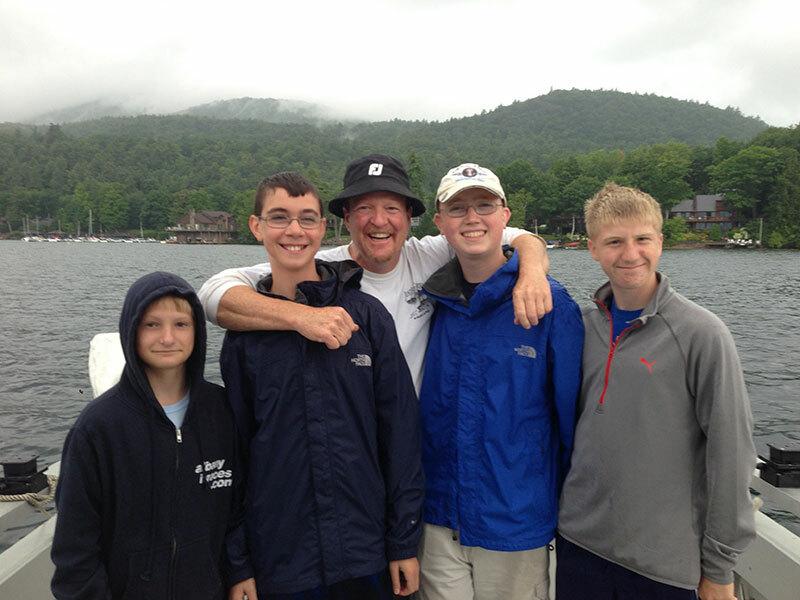 I have worked with special needs people for 25 years and have been vacationing with them on Joe's boat for 17 years in Lake George. We have only been able to do one trip in Ft. Myers, but as always Joe was so welcoming and loving with all the guys... nothing more fun then soaking up the sun and screaming "Fish On". It was a little different than what we were all used to, but simply awesome area, different types of fish, and an ultimate experience provided by Joe. Every trip is better than the last!! Thank you so much...You Rock!! Keep up the good work my friend!! Captain Joe is great I had a wonderful time On the boat this week with great people and we all landed 3-4 beautiful fish.. If your looking for a good day of fishing Justy Joe is where to go!!! What a picture !!! I just pulled off the highway!! My Dad didn't stop talking about the fishing trip!! Thank you so much for a great trip Captain!! See you again!! This was, I think, last July or August when I took Rick Ellenwood's wife's place on the trip. You are the hardest working Captain on the Lake. Thanks for a great time! Maybe we can catch him again and he'll weigh in at 15 lbs this year. Thank you again for a great time on the lake. Fishing with you is always a pleasure. Here are a couple of photos from today's charter. See you next year! I wanted to thank you again for a fantastic trip with me, Zach & Ava! It was the highlight of a great week together and they are still talking about it. You not only know the lake extremely well, but you are wonderful with kids and made a lasting impression on mine. We will be booking you again next year and already looking forward to it. Just wanted to thank you for the great Bass trip we had last Monday. The girls had a great time with those nice Bass up to 4 1/2 lbs, and the teased me for days how I didn't catch one over 2 lbs lol. Thanks for another great trip looking forward to our special spring trip next year, here are some pics of the girls and there fish. We all had such a great day. This makes the fourth trip with you for Nicholas and Elizabeth and each one has been filled with great life long memories and lessons about the lake and the environment. Not only are you the "Best Charter Captain EVER" (a quote from Nicholas and Elizabeth and agreed to by Kelly, Michael, Pat and me) but you're also a great teacher and sportsman. We all look forward to our annual time with you and speak frequently during the year about the lessons you gently convey. 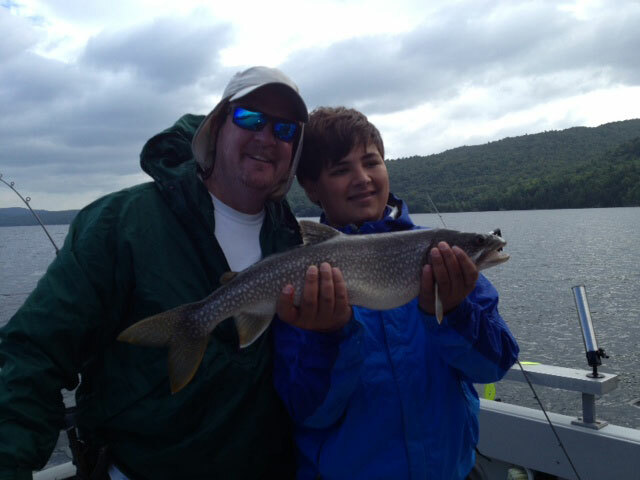 On top of that, for the kids to land 12 beautiful lake trout during this trip made it an exceptional day. I'll be forwarding to you some of the picture from our Wednesday trip but we thought that you and Dillon would enjoy the video - just type "Youtube Jumpy the dog" . Dillon will be amazed! 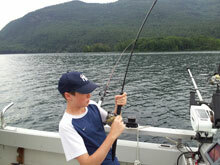 We all want to thank you again for a great fishing trip on Saturday. It was absolutely the best charter we've ever had — we're looking forward to doing it again. I'm enclosing some of our pictures. We just wanted to thank you again for making our fishing trip so memorable! We had a great time and really enjoying meeting you. Ian and Jesse said they loved you and really made them feel comfortable. We are thinking of our trip next year, maybe Florida. We will definately contact you for that!!! Hi. My name is Sally. My husband is Eric. 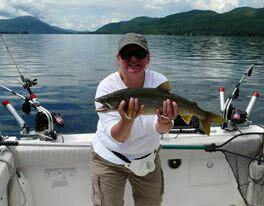 We went on a fishing charter with Captain Steve Yaw last June and had an awesome time. I wanted to send you a couple pictures of us with our awesome fish. 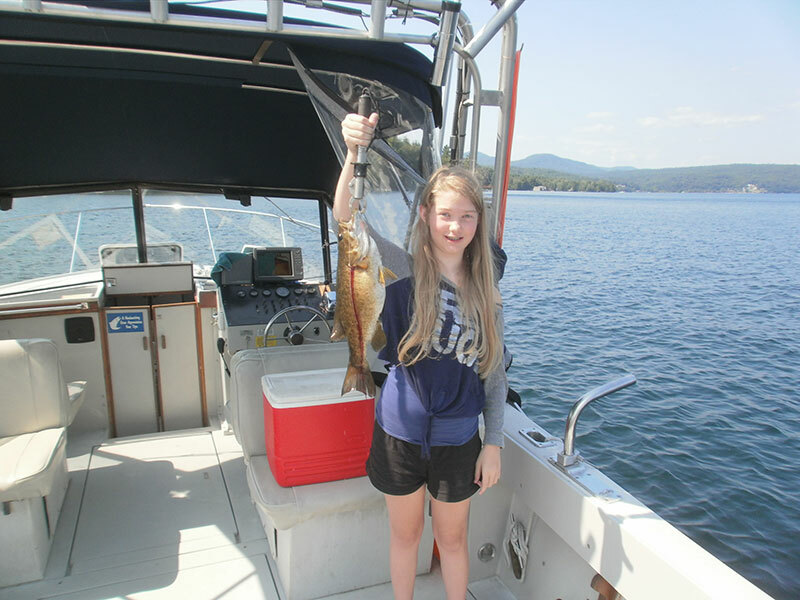 When we come back to the lake george area, we will go fishing with you again! We had a great time. 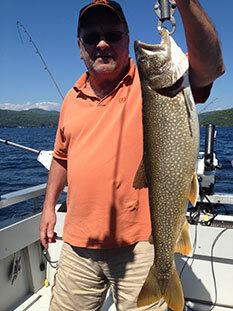 Thanks again for another great day of fishing on Lake George, I don't think we could have had a better day. It was absolutely beautiful out there yesterday. As always great fishing and lots of fun. Again, on behalf of our gang many thanks for giving our grandchildren (and their parents and Pat and me) two great days of fishing. You taught the kids so much about fishing and the lake. But, much more importantly, you demonstrated by you actions, what it means to be a true sportsman, a gentleman, and steward of the environment. Since our two days with you this month, the kids have spoken constantly about how you made learning fun and exciting. Actually, I think you may have four applicants in a few years to be your First Mate. You were so kind in answering the flood of questions they threw at you and you always had a good story, a great sense of humor and a factual answer. We think you should name your boat "The Memory Maker". All of us have, over the last few years taken away a hat full of great memories while being with you on the lake. 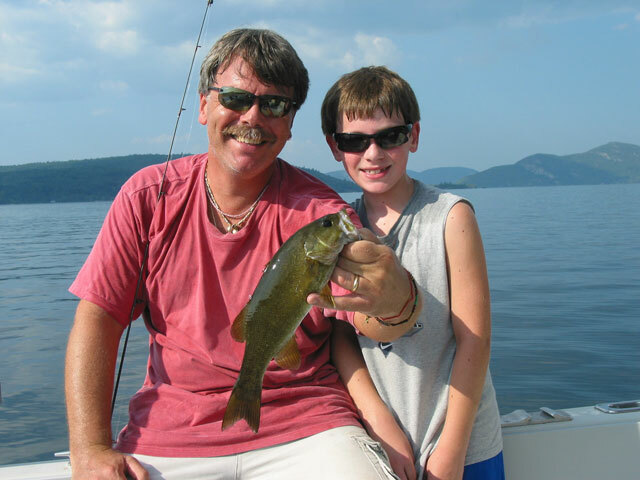 Just wanted to say thanks for a great day of fishing on Lake George. We had a great time and made some long-lasting memories. We are already looking forward to another great trip with you next May. Thanks again, your hard work and dedication to the sport made for a relaxing day on the lake. I have attached a photo from our trip. 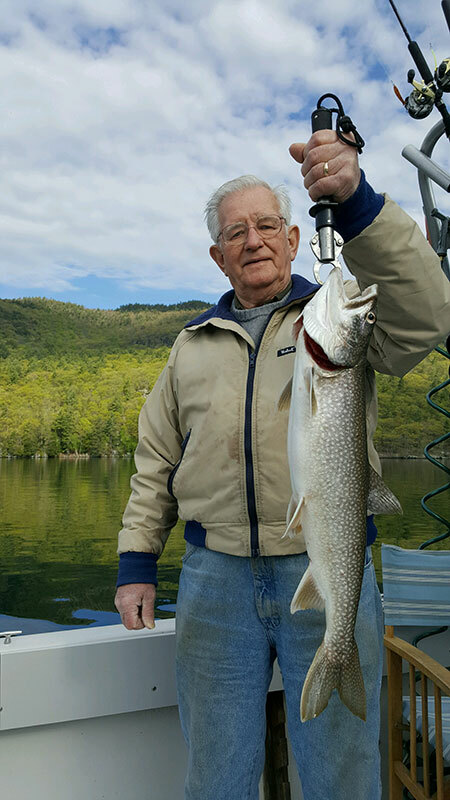 My friend and I had a great day lake trout fishing in early May. 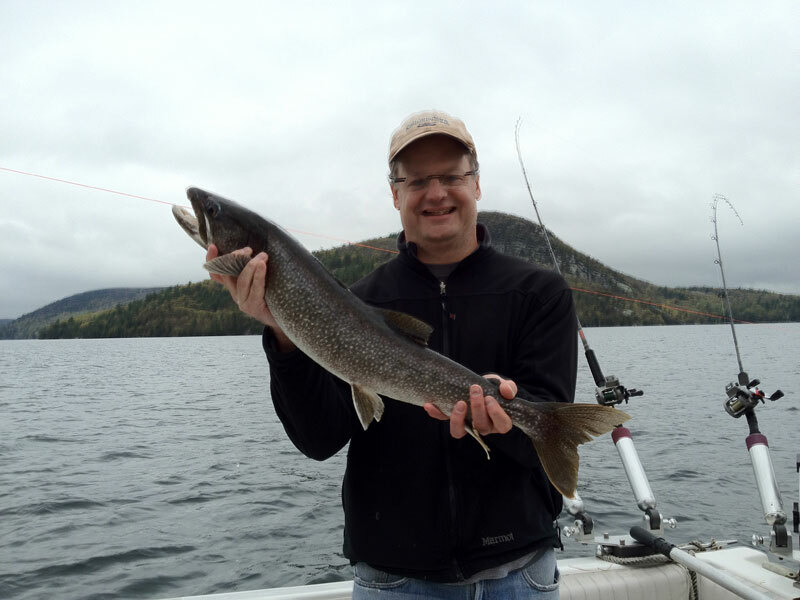 Steve worked hard to find the lakers and get the fish. The conversation and fish tales were an added bonus. Look forward to doing it again. I included some photos. 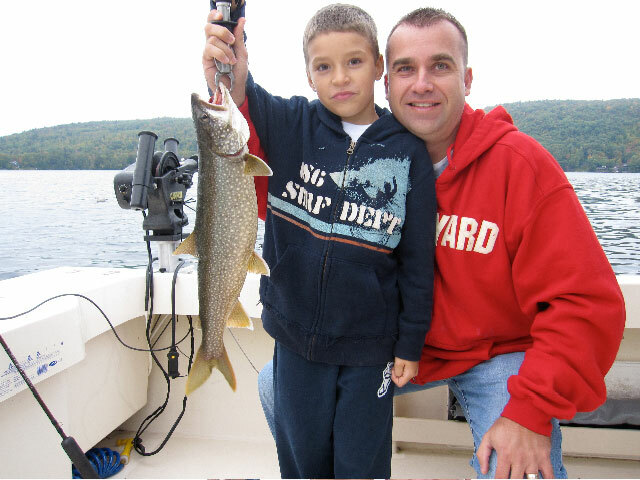 We had a great time with you fishing, can’t wait to do it again….here are some pic’s of the fish we caught, feel free to put them up on your site…Thanks again. I just want to say thanks again for an awesome time, everybody had a blast!!! I've fished with alot of different outfits and must, say you run with the best of them!! It was definitely a pleasure fishing with you and we definitely look forward to doing so again!! I was just loading the pics and thought you'd like to see a couple of pics from our trip.. especially Jalen's (age 8) 27" Laker!!!! She's already planning for another trip and this time she's looking to fish with you down in FL!! 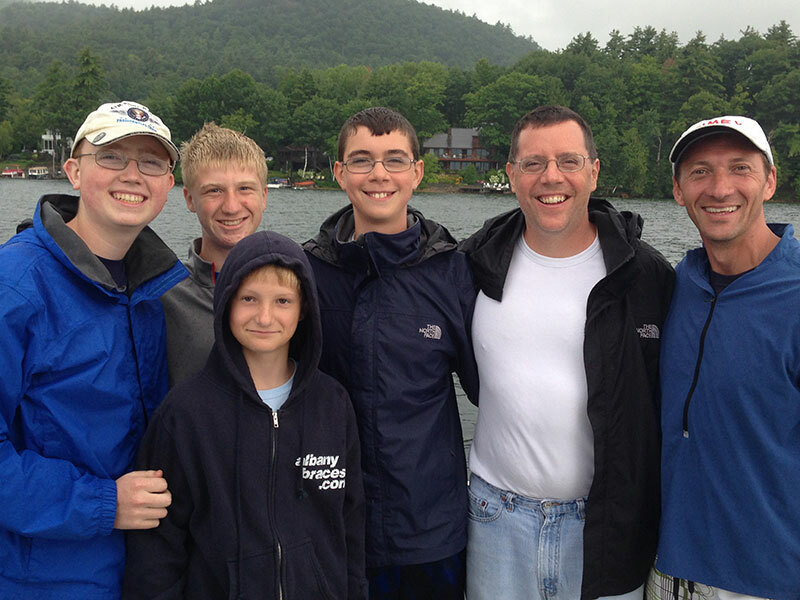 Thanks for a great day on Lake George, we all had a great time and more importantly, good memories with my sons. I want to set up two afternoon bass trips and would like to know what your schedule looks like, please let me know. 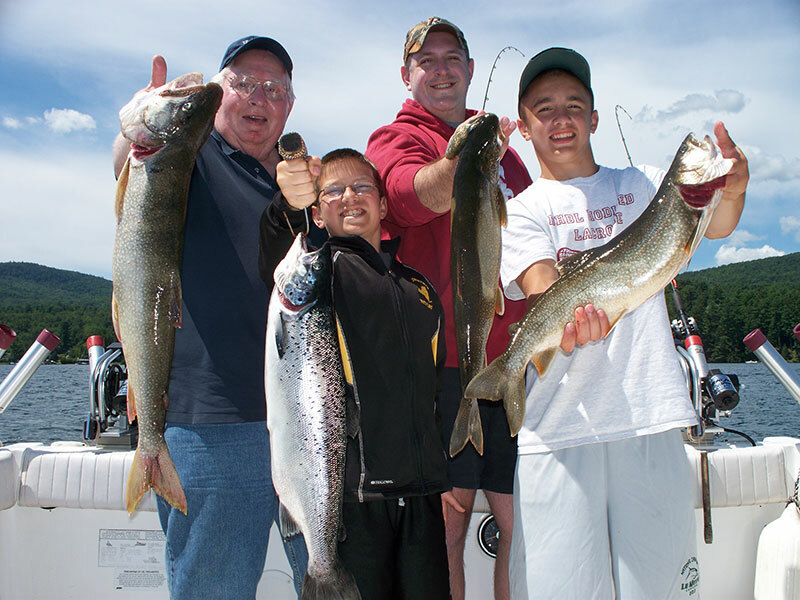 Just wanted to say we had a great time June 8th on our salmon/trout charter. Me and my brother have been showing everyone the pictures of our 33" laker. We cant stop talking about what a good time we had. Im really looking forward to hooking up with you back down in Ft. Myers for a sea charter. Thanks again! Spring has sprung and my son is itching to go fishing. (so am i!) We had such a great time on your boat last year that we're interested in doing it with you again this year, only this time for lakers. I look forward to hearing from you. I just wanted to take a moment to thank you for the great time that we had with you yesterday. 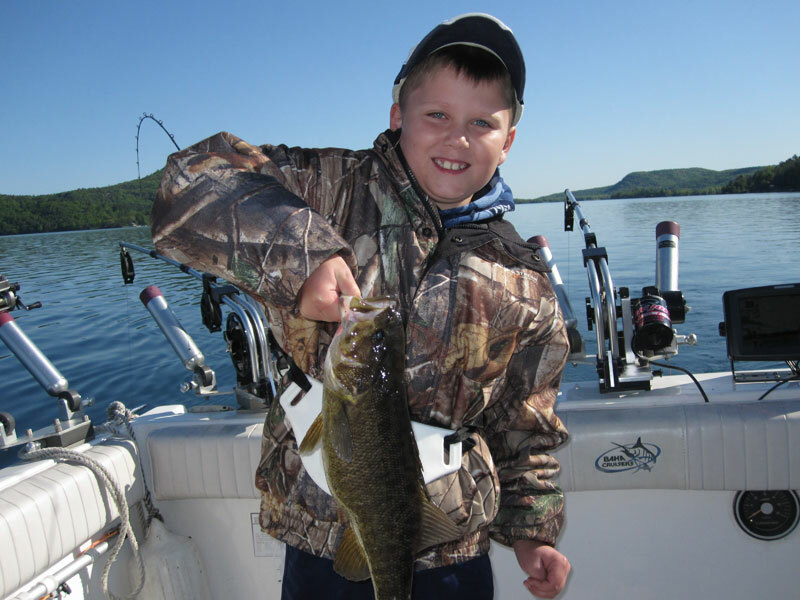 You were an integral part of Devin's birthday, and you reinforced his passion for fishing. It was a wonderful experience, that will live on in our family forever. Fish Tales Inn was delightful, and the charter was perfect. From our family to you and Bonnie, thank you. We just wanted to thank you for a great time on the lake! I wasn't sure what to expect being it was my 1st time. The day turned out to be better than I could have imagined. Our Captain - Steve - made the trip!!! The fish were taking there sweet time biting that morning and I was wondering how it was going to turn out. While we were patiently waiting for that 1st bite Steve made us feel at ease, as if we had known him for years. With three teenagers on board I thought "how are we going to keep them entertained". Steve's sense of humor and great stories had us laughing within the first 5 minutes of getting on the boat. Before we knew it the fish were biting. His enthusiasm each time the fish grabbed the hook had us jumping out of our seats to grab the pole, snapping pictures, everyone had a blast. We talked about Steve (and the trip) for days, actually we still are. We can't wait to go back again next year! Thanks Steve for a great start to our vacation!! Just a quick note to say again what a great time we had today. You were so wonderful with the kids ( and the adults too). The fishing was excellent and your conversation and expertise was beyond anything we expected. You gave the kids a set of memories that they'll never forget. We can't thank you enough for the day and for the role model sportsmanship you display every day. Nicholas has already made up his mind that he'll be working and saving his money for another trip with you next year. The fish dinner was great. Thanks for the recipe it was excellent!!! I had booked a fishing trip with Captain Steve in June. I just wanted to let you know that I had a great experience. Captain Steve not only made the trip fun with the fish that we caught, but he made the time fun and enjoyable. We plan on coming up again next year for another great fishing trip. Thank you again for a great time and a wonderful fishing trip. 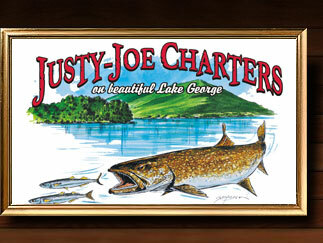 Justy Joe's is a first class charter that I will fish with again. Joe – Alex and I had a spectacular time. We would have been happy catching just one trout, to get 9 far exceeded my expectations. The drive and views on the lake were an added bonus. Already looking forward to booking another trip for next summer. Appreciate you squeezing us in. Have a safe trip to FL and back. We had a great time on the boat with you last week. I've been bragging to everyone I meet about our 100 fishes ;-) Anyway, thought you might like some pics of the trip. 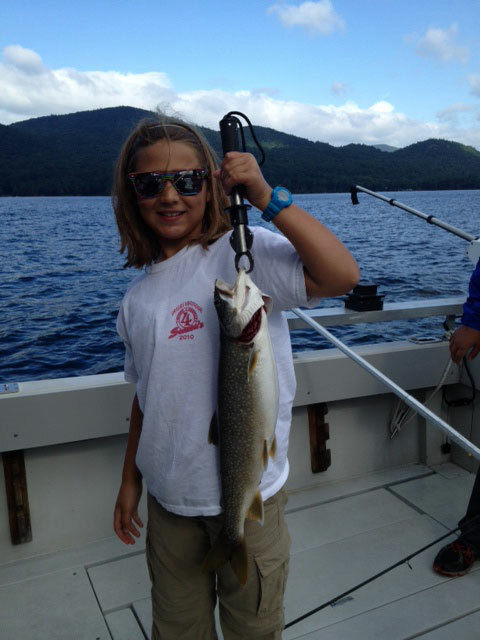 Robert's girlfriend (the one who caught the biggest fish) is named Ryan Wenke. My family and I had an absolutely "FABULOUS" time aboard the Justy-Joe last week. 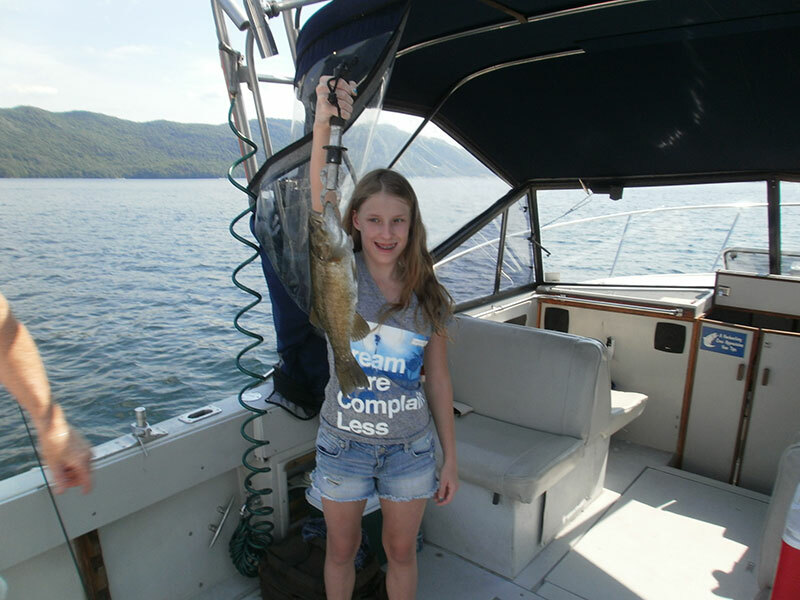 We caught lots of fish with you and also really enjoyed your company. You came highly recommended and we can see why...you run a top-notch charter service. 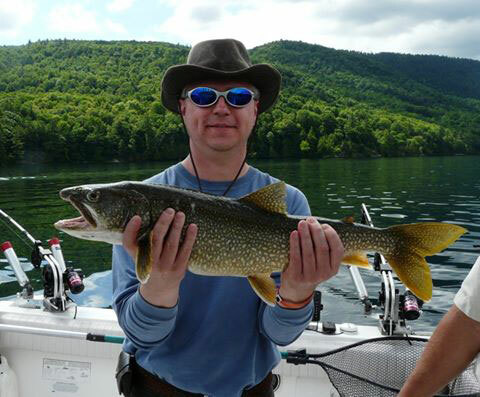 We will be recommending you to a few of our friends that love to fish and we will see you again next summer. Thanks for a great trip. We enjoyed our outings with you last summer very much and would like to arrange a charter again this summer. We had a great time and are looking forward to our next trip. Thanks for a great experience. We learned a lot and it meant a lot that you were cool with Nick, and AJ. Nick usually is bored. I talked to the guys at work, (philadelphia custom millwork) and they are chomping at the bit! I maybe calling with them for September, but If not, I will see you next year. Nice boat, love the rods, first class all the way. We just spent the day fishing with you (Tereski party) and I just wanted to say thank you for the best time I have had in years. I was the Tom Brady fan on the boat. My husband and I have 5 kids between us, and this was the first time we ever left them home alone...granted, 3 of them are adults (19-24). The cabin was perfect and we thought we found heaven until we got on your boat. My brother in law, Bill Tereski, spoke very highly of you and I have to say, he spoke honestly. You made the whole trip for all of us. It was great to go out , and catch huge fish, (lots of them) while sharing such wonderful company in our Cpt. You are in the right business Cpt. 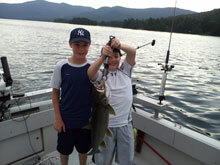 Joe, and it is no wonder you are the top charter on Lake George. Thankyou so much for the great fishing trip. We will be back, you can bet on that! My sister-in-law does not fish, and even she joined in the fun! Peace to you and yours, and God Bless you all.